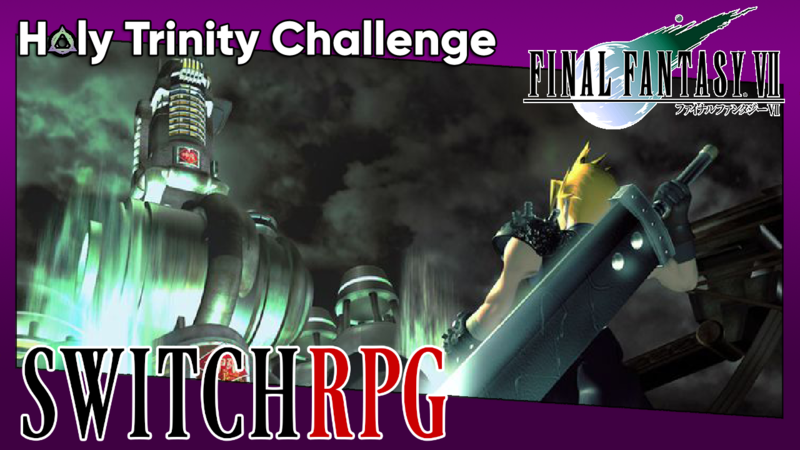 I wrapped up the original SwitchRPG Final Fantasy VII Challenge last week, and it was a blast! Here are links to the challenge rules, livestreams, and the finale/reflections video in case you missed any of it! TLDR: While the challenge was fun, and certainly upped the difficulty in comparison to the base game, it wasn’t near as difficult as I hoped it would be. As mentioned in my finale video however, I did have plans in place for a brand-new challenge that would (hopefully) provide a little more excitement. Today, I’m happy to finally be sharing those details with you! Tank: Designed to draw enemy attacks in order to take the brunt of the damage. Lower damage but higher survivability. Healer: Often solely responsible for the upkeep and health of the party via restorative abilities and magic. Lower damage and lower survivability. DPS: Your dedicated damage dealer. Can’t take hits as well as the tank, but makes up for that in damage output. Higher damage and lower survivability. In vanilla FF7, it is too easy to spread out crazy powerful materia amongst multiple party members, making each character capable of taking damage, healing, and dishing it out equally. This challenge aims to severely limit the overall materia pool and combination possibilities which, in culmination with the other rules, should make for a significantly more difficult challenge in comparison to our first endeavor. Must abide by the holy trinity concept at all times – assign each character in the active party one of three roles: tank, DPS, or healer. Role determines materia choices for that character (see table and bookmark it)! No duplicate roles. You cannot have two or more DPS/healers/tanks at play at once. Roles can be interchanged and swapped between party members at will, but you must always abide by materia rules afterwards (again – the table)! No Summon Materia. Also many uber-powerful materias have been disabled (have you bookmarked the table yet)?! All characters can equip up to a Mythril Armlet (two sockets linked) – Later party members must downgrade to it. I’ll be livestreaming some of my own run over on Facebook, YouTube, and Mixer soon, so be on the lookout for that! Also, if you decide to take on the challenge yourself, we’d love to know about it! Drop a mention in Discord, Twitter, or down in the comments below and let us know what you think! Good luck!